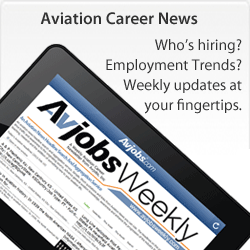 Avjobs "Headlines" is a free discovery platform that looks for aviation related content based on user preferences and suggestions. 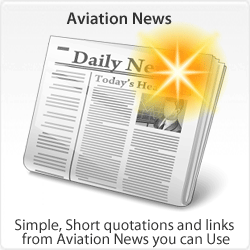 For publishers, "Headlines" is a new, powerful channel for your aviation brand. Avjobs "Headlines" extends the reach of your publication, blog or news feed and exposes your content and your company to a broader audience that is interested and engaged in aviation. How is Avjobs "Headlines" different? Avjobs is the first to go beyond manual customization or blogging and make use of more powerful technology to provide a timely, personalized, professional aviation news and information experience. No two Avjobs "Headlines" readers or publishers are alike and we strive to publish and deliver relevant aviation information to meet their needs. The inclusion of your content, announcements, experiences, opinions, and news stories in "Headline" format better serves you and your company by linking our visitors directly to your site. How can I work with Avjobs? Avjobs has developed an integrated partner program to assist publishers in finding new audiences via our headlines service. We have a number of exciting and innovative features in our platform that enable better visibility of your publication to highly targeted audiences. Equally as exciting, a large percentage of content within Avjobs is shared via other social programs like Facebook and Twitter. Think of Avjobs as a controlled megaphone for your content. If you're interested in learning more about how you can work with Avjobs, email as...@avjobs.com. 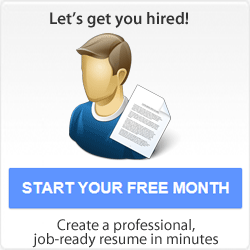 Is Avjobs indexing my site? Avjobs draws from the web using various signals that tell us how users are engaging with your content. However, if you suspect that Avjobs is not properly indexing your site please email supp...@avjobs.com and we will take a closer look. How does Avjobs rank sites? Avjobs does not favor publishers based on their size. 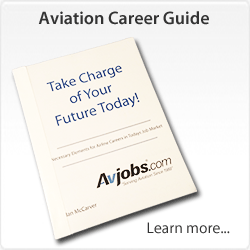 Avjobs uses proprietary algorithms to deliver users aviation content that matches their unique tastes and interests and is specific to the type of content they like to read. Do large publishers get better weight? Avjobs headlines are determined by the focus of the content and displayed by publish date. The newest stories are always at the top of the page. All aviation, airport, aerospace, space, and general aviation stories are welcome. If you're into an aviation related topic, chances are, someone else is too. I don't see headlines about my interests? Sorry about that. We just need to know what part of aviation you're in to? Drop us a note with your topic, or industry area suggestion and we'll work it in as soon as we can. You can contact us directly by emailing supp...@avjobs.com. I have a great idea for how to improve the service. Where can I send it? We'd love to hear it! You can contact us directly by emailing supp...@avjobs.com. We get lots of great feature requests and we're working on implementing many of them in upcoming versions of the service.